Intern on an International Development placement in South Africa, and work with a local NGO to support local communities. 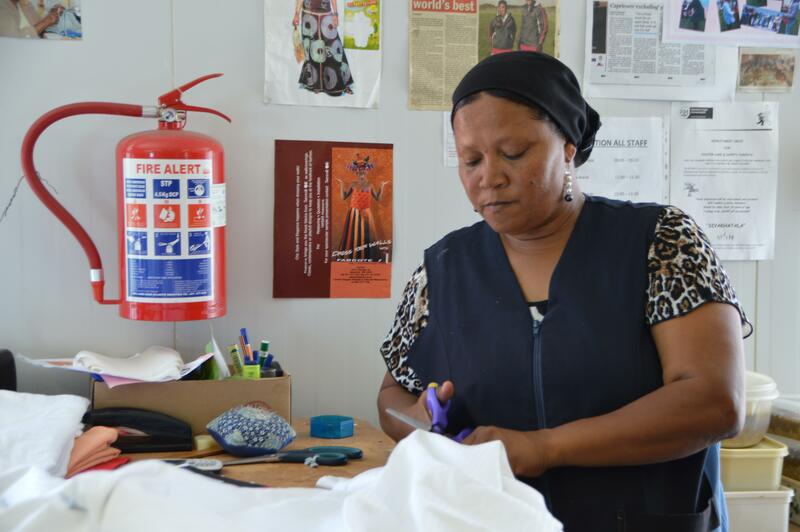 The NGO we partner with aims to help people cope with the challenges they face every day, like poverty and high unemployment rates. They do this by offering support, training, and resources. You’ll focus on empowering people through various services and programmes that the NGO offers. These include life skills workshops, education and training, and more. You’ll be able to give back to local people, while also adding valuable work experience to your CV, which can help your future career. 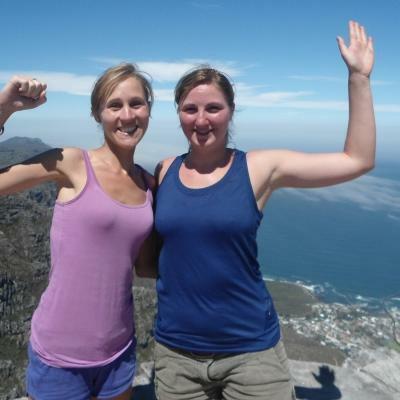 You’ll live and work in Cape Town, and stay with a local host family. Learn all about the local culture and traditions from them, and use your free time to explore the city and the stunning nature and beaches nearby. Is an International Development internship in South Africa right for me? This project is perfect for you if you’re interested in working with an NGO to empower people from disadvantaged communities. 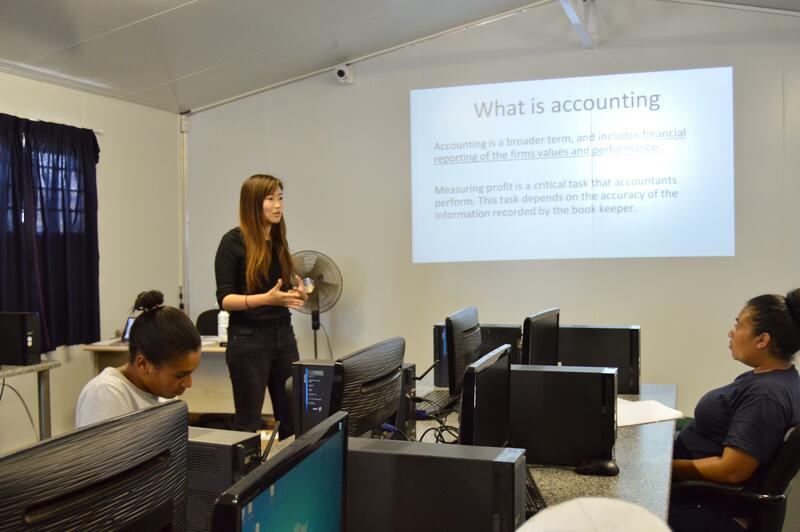 It’s also a good fit for students and recent graduates of business or development studies. This internship will add valuable work experience to your CV, and give you interesting points to talk about in interviews and applications. You’ll also learn valuable skills that you can apply to any future career, like planning and adaptability. You don’t need previous experience to join. You’ll work alongside experienced staff, and you can reach out to Projects Abroad staff for help and guidance at any time. 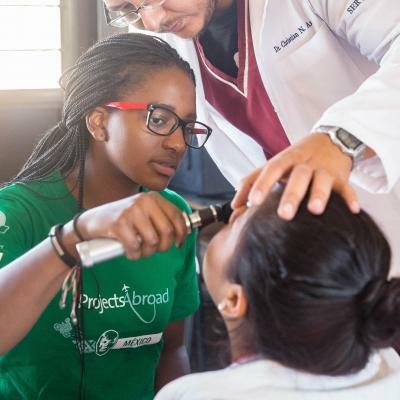 Our International Development placements in South Africa run throughout the year, and you can join at any time from a minimum of four weeks. We encourage you to stay longer, so you can have a bigger impact on the community, and gain more international development work experience while in South Africa. What will I do on this internship? You can assist in developing business plans for existing or startup businesses. You will also help businesses establish plans to improve their efforts through better marketing and finance management. You will help send fundraising proposals to different firms and individuals. You will also develop relationships with existing sponsors, write motivation letters, and develop contacts. You will formulate and execute market research, collect statistics from questionnaires, and research the job market for community members. You will help conduct business workshops, entrepreneurial workshops, and lead an entrepreneurial mentorship role for potential business leaders. Where in South Africa will I work? You will live and work Cape Town. The city is considered to be one of the most developed cities in Africa. However, outside of the major industrial centres, many people still live below the poverty line. The city is nestled on the southernmost point of the African continent, and is flanked by vast stretches of natural beauty. Table Mountain, arguably the greatest natural highlight, is popular with everyone visiting Cape Town. When you arrive at your respective airport, a member of Projects Abroad staff will be there to meet you. You can find more detailed information on arrival airports, orientation, and visas on our South Africa Arrival Procedures page. What is a typical day on this project like? A typical day will start off with you having breakfast at your host family. We arrange your daily travel to and from your placement in Vrygrond, and this cost is covered in your programme fees. However, please note that all of your after-hours and weekend transport will be at your own expense. Your average work day will run from 9am to 4pm, Monday to Friday. When you arrive at work on your first day, you will be introduced to staff who will be able to advise and support you during your placement. Our Projects Abroad staff are also available to guide you throughout your stay. As an intern, your work will be focused on fundraising, marketing, and local business and staff development. This can translate into various tasks, like drawing up a business plan for a struggling entrepreneur, or building relationships with sponsors to bring in more funding for the NGO. During this placement, you are expected bring your own laptop to work on. This is also a professional internship, so you’re expected to be punctual and hard-working. But it’s not all work and no play. When you’re finished for the day, it’s time to explore your new surroundings. Why not spend some time getting to know your host family over a traditional South African dinner? Or discover the delights that Cape Town has to offer! What are the aims of this project? The main aim of this project is to work with local NGOs and help underprivileged communities develop socially and economically. Despite great efforts towards reform, poverty is on the rise in South Africa. The youth unemployment rate is staggering, and stands at more than 60%. By partnering with NGOs, we are looking to support and empower communities deeply affected by these issues. As a result, this project aims to address the imbalances that exist today, by supporting local businesses. This is done through empowering the women, men, and youth of these communities through skills and development training. We need your help to reach as many people as possible. Join our International Development internship in South Africa and become part of our efforts to support disadvantaged communities. I received far more responsibility than I ever anticipated and was even invited to attend important business meetings and home visits with the senior staff, which were a fantastic experience. You'll stay with a host family in Cape Town. They will welcome you into their home, eager to share their customs and have you teach them about your own culture. We believe that this is the best way to immerse yourself in the culture of South Africa and have a truly unique experience. Known as the Rainbow Nation, South Africa has a diverse mix of cultures. Our projects are based in Cape Town, a region filled with an exciting variety of activities to do during your free time. You can catch a wave at Muizenberg beach or just relax in a seaside restaurant. There’s plenty of local cuisine to try, including delicately spiced Cape Malay curries and the creamy milk tart dessert. South Africa has a difficult past, which you can learn more about at the District 6 Museum and Robben Island. For an awe-inspiring experience, you can spend the day getting lost in the towering silos that make up the Zeitz Museum of Contemporary Arts Africa. Finally, no trip to Cape Town would be complete without a cable car ride up iconic Table Mountain. 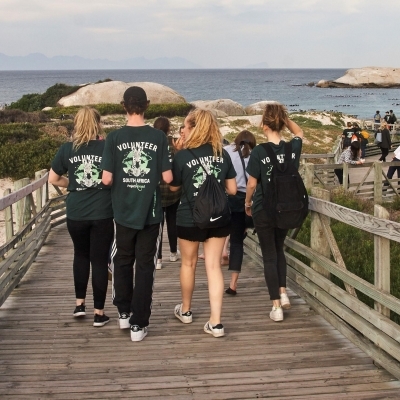 We run many different projects in South Africa, so there’s sure to be other volunteers in the country with you. So if you want to travel with a group, you’re sure to find like-minded people who’ll join you on your adventures. Justine was born and raised in Cape Town, South Africa. She is passionate about environmental conservation and has an Honours in Environmental and Geographic Science, and a Master of Philosophy in Environmental Law. 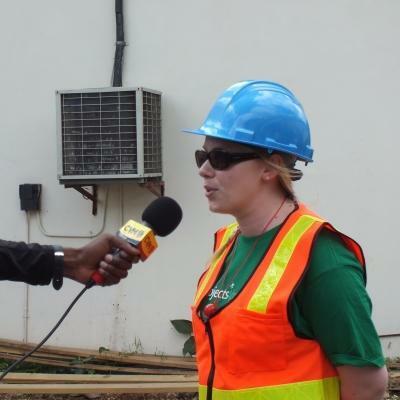 Justine has been with Projects Abroad since January 2014. She started out as a volunteer advisor and work her way up to head of administrative services, operations manager and now country director for South Africa. In her free time, she enjoys the outdoors, scuba diving, meeting new people and travelling. Justine has travelled extensively through Europe, and most recently visited Bolivia, Argentina, Fiji and Cyprus. Kayla was born and raised in Cape Town and loves living in the Mother City. She is currently studying Business Management at False Bay FET college. She supervisors the Teaching project and loves working with the children at the schools. 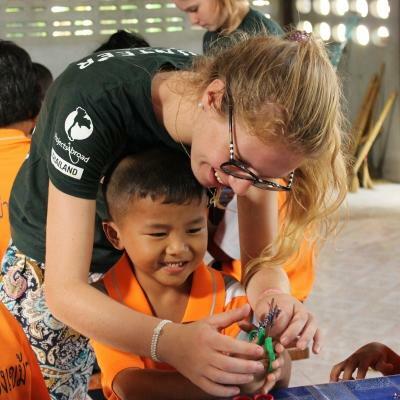 She joined Projects Abroad in 2013 and enjoys working with volunteers from all over the world. Maria moved to South Africa from Kenya in 2003. She graduated from the Nelson Mandela Metropolitan University in Port Elizabeth with an LLB law degree. 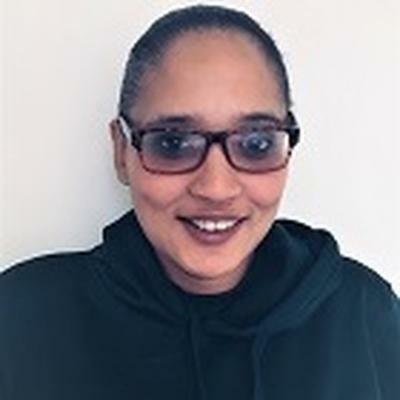 Maria is an admitted attorney of the High Court of South Africa and is qualified to practise in the Magistrate’s Court, High Court and the Labour Court. Before joining Projects Abroad in March 2011, Maria specialised in civil litigation. Sherwin was born and raised in Cape Town. He completed his LLB law degree at the University of the Western Cape. Whilst at university, he did an international human rights course with Howard University (USA) which is where his passion for human rights commenced. In his free time, Sherwin likes socialising and meeting new people. 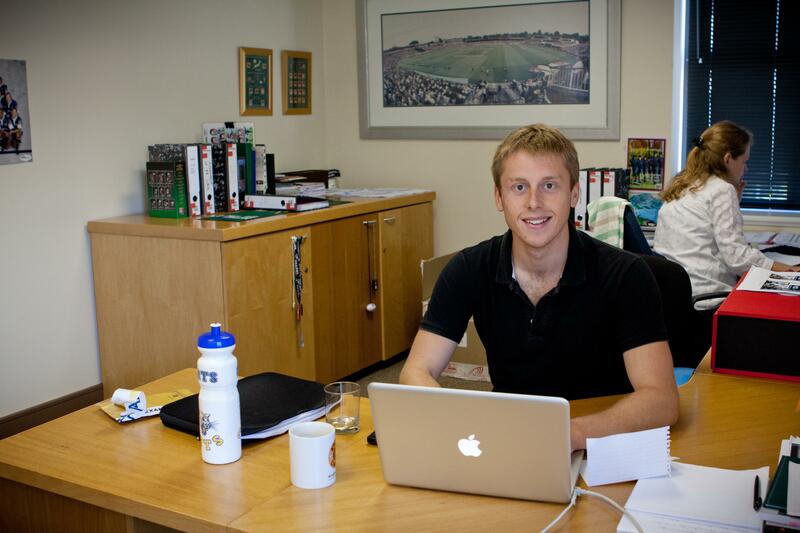 He also enjoys playing squash, sand-boarding and going to the gym. Judy-Rose was born and raised in Cape Town. She enjoys the outdoor life and regularly goes to the West Coast to break away from the hectic city life. She has been working in the hospitality industry for more than 4 years, but her passion has always been to make a difference in people’s lives. In high school she was part of her school’s community outreach programme and she has done volunteer work for the Art of Living Foundation. Shuan is from Vrygrond in the Cape Flats and his passion to work with and help people stemmed from having witnessed the hardship faced by those in his community. He joined Projects Abroad in 2010. After working as the Social Justice Coordinator in the Projects Abroad Human Rights Office, he was appointed the role of Surfing Project Manager. This role has given him the opportunity to be creative and come up with different ways to teach life skills to young people from communities like his own. Michael was born and raised in Cape Town. He is extremely passionate about working with at risk youths because of how he grew up. Before joining Projects Abroad, Michael worked with youth development programmes in various communities around Cape Town for four years. His major focus was on diversion for juveniles and rehabilitation for inmates at Pollsmoor Prison. He is a decent soccer player and thoroughly enjoys physical activity and new challenges. Ashwin was born and raised in Cape Town, his very outgoing and loves meeting new people from different cultures. He is a part time dancer and worked with children for eight years, before joining Projects Abroad. His goal in life is to help others suffering from poverty and create positive change in the world. Rebecca graduated from university in Norwich with a BA Hons in Literature and Film Studies. Since then, she worked in a range of publishing houses in the UK and moved to Cape Town with her family in 2008. She joined Projects Abroad in 2010 to start up Cape Chameleon magazine. The project offers a journalism internship to volunteers from all over the world. Fahima has lived in Cape Town for most of her life and she loves living and working in this beautiful city. She is a registered dietitian, having studied at both Stellenbosch University and the University of Cape Town. She’s worked at various hospitals around the Eastern Cape and Western Cape in South Africa. Through this work, she gained the experience to help communities that need extra nutritional support. She enjoys the outdoors, reading, and spending time with friends and family. Danielle was born and raised in Cape Town, South Africa. She received her law degree from the University of the Western Cape and later attended the School for Legal Practice at the University of Cape Town. After completing her articles and being admitted as an attorney in 2013, she practised on her own for a while before joining a predominantly civil law firm. Danielle joined our Projects Abroad Human Rights Office in March 2018. She says the best part about her job is the satisfaction she gets from helping people. In her free time, she loves hiking, being outdoors and spending time with family and friends. Samantha, 20, grew up in Cape Town and lives in Capricorn. She graduated from Immaculata High School in 2011. She is a dedicated, honest, free spirited and outspoken person. She likes hiking and meeting new people. She is involved in a Youth group at her church in her area. She likes challenges and adapts easily. She would like to travel across South Africa and experience different cultures within the African continent. She would also like to get a degree qualification in Tourism, which is her short term goal. Meschak is from Burundi and moved to Cape Town in 2001. After studying Tourism, Meschak joined Projects Abroad in 2010 as a Volunteer Coordinator. Since then he has loved working with volunteers from different backgrounds, arranging volunteer socials and making sure their time is worthwhile. He also speaks French and enjoys playing soccer. Helena has spent over 30 years on and off in the wilderness. She is an expert tracker, has crossed the Kalahari Desert on her own and lived with Bushmen for a year. She is also a pilot, a biologist specialising in animal behaviour (for which she obtained her PhD), and she single-handedly navigated her way through the vast Okavango Delta in a leaking boat and survived! For 10 years she was the Operations Director of The Centre for Rehabilitation of Wildlife (CROW) in Durban, South Africa. Judi spent her corporate life as a software developer and business owner in South Africa but volunteered all her spare time to helping rescue wildlife, including raising two lions. 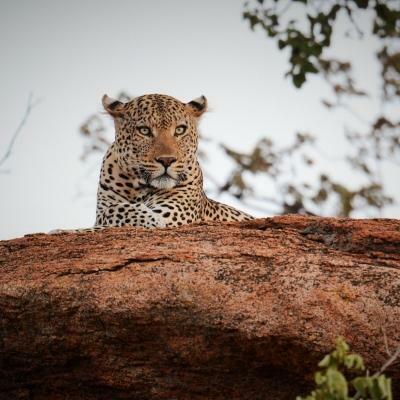 Together with her business partner, Helena Fitchat, they purchased a large tract of land in the Tuli Block in Botswana and have dedicated it to wildlife. Judi relocated and now lives there permanently. As a trustee of one of the biggest wildlife rehabilitation centres in South Africa, Judi realised that the only way to make a difference was to preserve the habitat. This is what Projects Abroad and their volunteers make possible on a daily basis. Jo is from the village of Mathathane, Botswana and has been working in the bush all his life. He is an expert tracker, loves the bush, and is passionate about sharing his knowledge with the volunteers. He is also very handy in the camp and often assists Jens with maintenance issues. Jane is from the village of Mathathane, Botswana and is considered the ’heart’ of Motswiri Camp. She manages the kitchen and the menus, and does all the cooking. Her meals are legendary, and it is amazing to see the food that she can produce in the middle of nowhere. Jane ensures that no one goes hungry, and our volunteers frequently tell us that they have to go home to lose weight! Patrick is from the village of Mathathane, Botswana and joined Motswiri Camp as a camp attendant. He previously worked in the Okavango Delta but moved home as he wanted to be closer to his family. Patrick turned the non-existent garden into a beautiful area in the camp, which he now maintains. He looks after the camp and ensures that it is kept clean and tidy. He also makes sure that everyone has hot water for showers, and often helps Jens with general maintenance. Precious is from the village of Mathathane, Botswana and originally started helping at Motswiri with her mother, who worked at the camp for many years. When her mother retired, she took over the position of camp attendant. It is her job to ensure that everyone is comfortable in their accommodation. Precious also helps Jane with the cooking when the camp is busy. Stacey grew up and currently lives in Cape Town. She is a very creative person who is always finding new projects to amuse herself with in her spare time, from ceramic sculpture and baking to trawling second hand stores looking for old vinyl records to add to her ever growing collection! From a young age, Stacey has always yearned to work with a purpose and make a change and feels that with Projects Abroad this can be achieved. Stacey is the Volunteer Advisor for Ghana and Tanzania.